T-Shirts will be guaranteed to all those registered by November 1st. Proceeds from this event benefit Habitat for Humanity and the Stow Community Chest. Please visit stowgobbler.org for additional information. 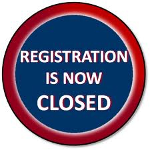 WE HAVE SOLD OUT THERE WILL BE NO RACE DAY REGISTRATION- THANKS FOR YOUR SUPPORT!